Need support on a project or events? Our office would love to collaborate with your organization to fund projects, work on presentations or announcements, or social media exposure! Fill out the form below to formally request collaboration on future projects. Event Summary: The office of the External Vice-President for Statewide Affairs is holding a town hall on the UC Office of the President Task Force on Universitywide Policing on Tuesday, November 13th. This forum will be an opportunity for students to express their opinions and concerns on UC policing, use of force, accountability, and their experiences with the UCPD during their time attending the University of California to Alex Bustamante, the Senior Vice President and Chief Compliance and Audit Officer and head of the UCOP Police Task Force. UC Santa Barbara – If you open up your browser right now and google search “What is a sanctuary state”, nothing really comes up. You are instead directed to the definition of a sanctuary city. In order to accurately create a definition as to what a sanctuary state is we must first look at the definition of a sanctuary city. So what exactly is a sanctuary city? According to the first result on google, Aspan law, a “Sanctuary city is a name given to a city in the United States that follows certain procedures that shelters illegal immigrants. … The term most commonly is used for cities that do not permit municipal funds or resources to be applied in furtherance of enforcement of federal immigration laws.” Ok great that’s what we’re given to work with. Let’s take a look at more popular definitions of sanctuary cities from news organizations from both sides of the political spectrum. Fox news in this article explains, “While there is no one-size-fits-all definition of a sanctuary city, the term loosely refers to places that offer political support and protections to people who are in the U.S. illegally.” Here there is an acknowledgement that there is no formal consensus of the definition of a sanctuary city but that it is loosely tied to a place that is politically sympathetic to undocumented immigrants. CNN’s definition of a sanctuary city is “Is a broad term applied to jurisdictions that have policies in place designed to limit cooperation with or involvement in federal immigration enforcement actions”, according to this article. Again we see the a similarity with the fox article that the definition is not set in stone but it loosely relates to supporting undocumented immigrants. The final media outlet that we’ll take a look at is this BBC which in this article states, “The term [sanctuary city] applies to cities in the US that have policies in place to limit the assistance given to federal immigration authorities. It’s not a legal term so the way it is implemented can vary, but the policies can be set in law or just part of local policing practices.” While this adds on to other media outlet’s definition by introducing an ambiguity in its legality, there seems to be a consensus among major media outlets on two things regarding sanctuary cities. First, that the definition of a sanctuary city is not something that is widely agreed upon and is still up for debate. Second, that in some capacity a sanctuary city is sympathetic to undocumented immigrants. In this article we will be taking what we know from the second part of this consensus and use that in order to address the ambiguity of the first. Because it is agreed upon in mainstream outlets that sanctuary cities in some capacity are sympathetic to undocumented immigrants we will apply that same principle to the definition of a sanctuary state. However in order to address the second half of this definition we have to turn to what states themselves define as a “sanctuary state”. Currently California has a bill in the legislature which would make California a “sanctuary state”. Now the bill itself SB 54, which you can read here, does not use the term or explicitly define “sanctuary state”. What this bill does do is it prevents the sharing of immigration status between enforcement agencies. More specifically “Existing law provides that when there is reason to believe that a person arrested for a violation of specified controlled substance provisions may not be a citizen of the United States, the arresting agency shall notify the appropriate agency of the United States having charge of deportation matters. This bill would repeal those provisions.” With California introducing and possibly passing this bill, the definition of a sanctuary state can now be modified to being as follows. A sanctuary state is a state which actively offers political support to undocumented immigrants through an official government capacity. And here official government capacity can refer to any amount of official governmental actions such as a piece of legislation, an executive order, however political statements are not considered actions. However this definition remains incomplete because it only takes into consideration one state. In order to create a more complete definition we have to asses what other states are doing as well. In Connecticut Governor Malloy issued an official memo directed at school officials to not actively cooperate with immigration officials which can be found here. This is yet another example of actively providing political support through an official government capacity. Other states such as Washington, New York, and Oregon have taken similar actions and as a result fall under our definition of a sanctuary state. 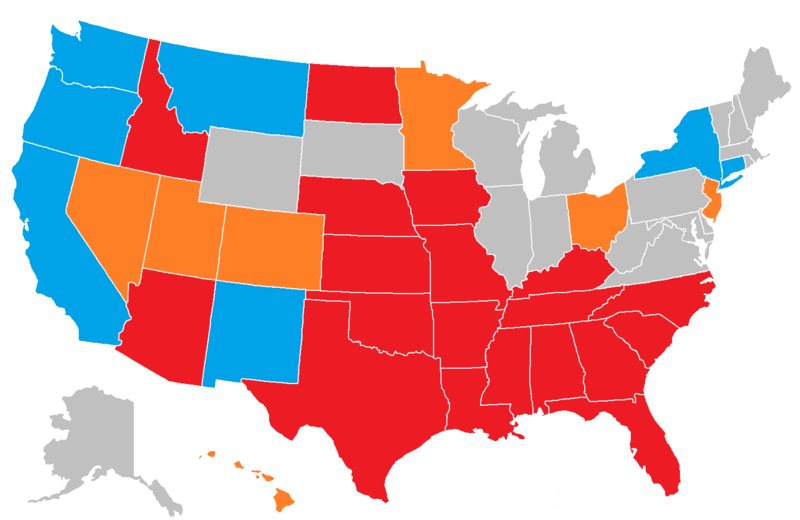 Other states such as Nevada don’t have so clear of a position. While the Nevada legislature has a bill currently on the floor that would make Nevada a sanctuary state, Nevada’s state governor does not have a track record of supporting undocumented immigrants. This raises the possibility of a veto and SB 223 not passing in the Nevada legislature. As of now we cannot categorize Nevada as a sanctuary state because there is not a unified legislative and executive support for the implementation of a sanctuary state which is crucial to its success. Until there is a clear unified policy from the leadership of the state we can consider states like Nevada as uncommitted states. Now that there is a clear definition for a sanctuary state, a state which actively offers political support to undocumented immigrants through an official government capacity, and a distinction between a sanctuary state and uncommitted states we can begin to identify which states fall into what category. By using these definitions this chart below shows which states are considered sanctuary, uncommitted, opposed, or have not shared a stance. Because sanctuary states are a fairly new concept we’ll have to wait and see how effective they will be under the new Trump administration in the days ahead. Written by the Office of the External Vice President of Statewide Affairs at UCSB. The California Master Plan for Higher Education was developed in 1960 to establish the three tiers of higher education in California: The UC, the CSU, and the CCC. We have deviated far from this model. So what went wrong? Our Forum’s aim to address this question and explore possible solutions. This Forum aims to educate and start a discussion on what the California Master Plan is, its current state of ineffectiveness, and what we as UCSB students would want to see out of a revitalized Master Plan. Brought to you by the UCSB E.V.P.S.A Office, UCSB Associated Students Office of the President, and UCSB A.S. Academic Affairs Board. Thus, the External Vice President of Statewide Affairs (EVPSA) is proud to present a WEEK OF REVENUE! Throughout the week, EVPSA will be presenting information on different resources our education system can use to lower the tuition prices. From legalizing marijuana to increase oil severance taxes, we’ve got all the information you need!! UCSB has the current record for most voters registered at a college campus across the country. Help us maintain that record by registering to vote! Don’t forget you must re-register to vote every time you move to a new address! 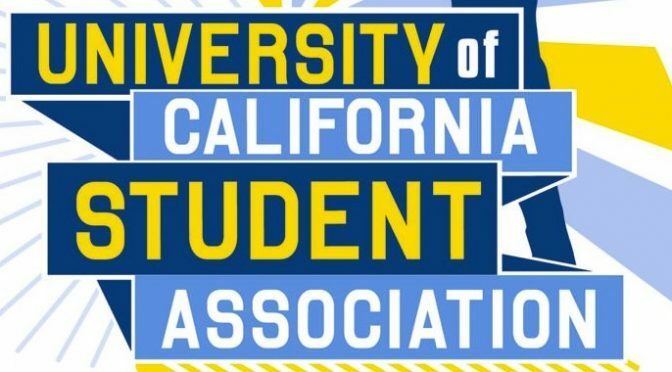 Welcome to the Official Website of the UCSB Office of the External Vice President for Statewide Affairs! Please feel free to browse through the information on our website, if you have any questions please click on our profiles and email us, or drop by our meetings Mondays at 8pm in AS main.